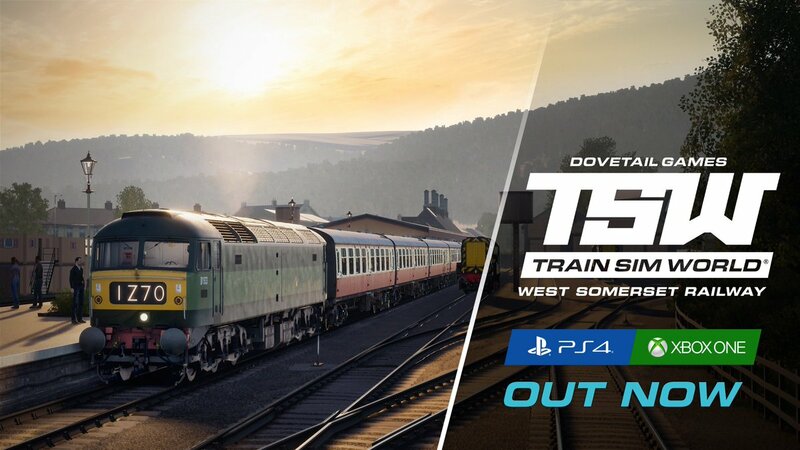 OUT NOW: Train Sim World: The West Somerset Railway is now available on Xbox One! Explore the rolling hills, golden meadows and seaside views of Britain's longest heritage railway. Will be getting this later on! Although I did see this review.. It's a pity we can't reply to xbox store reviewers. Equally so that they think posting that would solve whatever problems they're having. If only we had a support desk they could contact... Oh wait, we do! Be as descriptive as possible so we don't have to guess what the problem is, and we'll either solve your problem or get a bug logged for the dev team to investigate. Posting vague "it keeps crashing!" reviews like that doesn't help you or anyone else. People do use that but we never get a response unfortunately. The guy who works on our support desk sits behind my monitor. He replies to every ticket he receives. Would you like to be more specific? What is the exact issue preventing you from getting this DLC? I'd like to buy this, but after having unobtainable achievements in the last two DLC packs - this really sucked. I'm not prepared to fork out £19.99 for a unfinished dlc pack. As said before, nobody has said the issue has been fixed, meaning it'd be unplayable. No point me getting an unplayable DLC is there? Sorry I still don't follow you, which issue are you referring to? I cant confirm any crashing issues so far. After patching and dowloading WSR it all started fine and is working. DTG got to say just downloaded and played tutorial and first scenario and really impressed. I do favour the UK lines which does help but really enjoying this one. Only suggestion being I so wish you would allow scenario creation as I would love to use the full track layouts and fins the services section a bit unappealing especially when you have to wait an age for connecting services at stations. Keep up the excellent work. Love to see a Scottish line - Bo’ness? Strathspey? Just bought it and they fixed the crashing issue. All is good so far. 2. Confirmation these achievements are obtainable. £20 is a huge ask without being able to complete it 100% / As much as I would love to purchase and play this dlc. Don’t know why people are complaining about the price. It’s the same as PC. But all I see is fellow console players moaning that’s to expensive that it should be cheaper. I can now see why some pc players hate consoles. But anyway TrainSim-Luke i’m loving the new dlc and was happy paying $39.95 NZD for it. Can’t wait for the next one. The next one going to consoles is Ruhr Sieg Nord. We don't have a release date for it yet though. Sweet. I don’t mind waiting. It was £15.99 on release for the PC. Who cares about achievements. Honestly. Games used to not have them. You played the game to death because you enjoyed the game. Not to play a certain way to unlock a meaningless achievement. I care. At least in as much as it's nice to see them pop up. I'm not obsessive about them that I'll grind stuff in a game that I wouldn't do to get them, but I find they often encourage you to explore other parts of the game that you may well not have bothered with. If they're in the game, then they should work. They might not be as high a priority as say a game crashing bug, but they certainly need fixing.